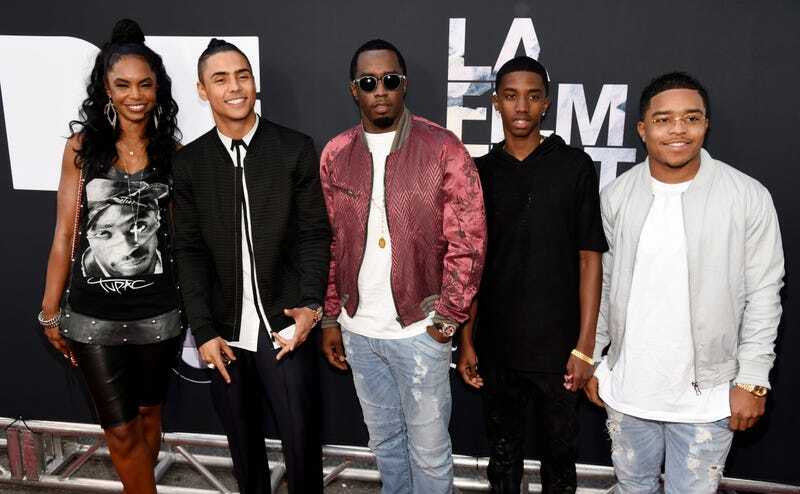 Former model, actress and mother Kim Porter was laid to rest in her hometown of Columbus, Ga., on Saturday morning. The memorial service, which was held at Cascade Hills Church, had an estimated 1,200 to 1,500 attendees, according to TMZ. Among the mourners in attendance were Mary J. Blige, Kandi Burruss, Lil Kim, Tichina Arnold, Yolanda Adams, Nene Leakes, Toya Wright, Kimora Lee Simmons, Stevie J, and Faith Evans, who performed a tribute honoring her memory. Sean “Diddy” Combs, 49, with whom she shared three children, arranged for Porter’s golden casket to travel in a carriage pulled by horses during the public funeral. The casket was adorned with white roses, as was the church where the ceremony took place. The service was officiated by Bishop T.D. Jakes. While Diddy spoke during the ceremony, Bishop Noel Jones delivered the eulogy. Other speakers included Mary J. Blige and Porter’s 27-year-old son Quincy Brown, who broke down while making his remarks. It was at that moment that Brown’s father, R&B legend Al B. Sure!, joined Brown and Combs onstage to provide comfort. At the Evergreen Memorial Gardens Cemetery, Porter was buried alongside her grandmother and mom. Prior to the funeral, Combs took to Twitter to thank everyone for the outpouring of prayers and support. In the candid clip, praising Porter as “the truest definition of a MOTHER,” she is playing in the water with the twin daughters she shares with Combs—D’Lila Star and Jessie James, 11—as well as Combs’ daughter Chance from another relationship. In a statement sent to the Associated Press on Friday, her family stated: “Although we’ve lost our best friend, God has gained a special angel and we know she is watching over us.